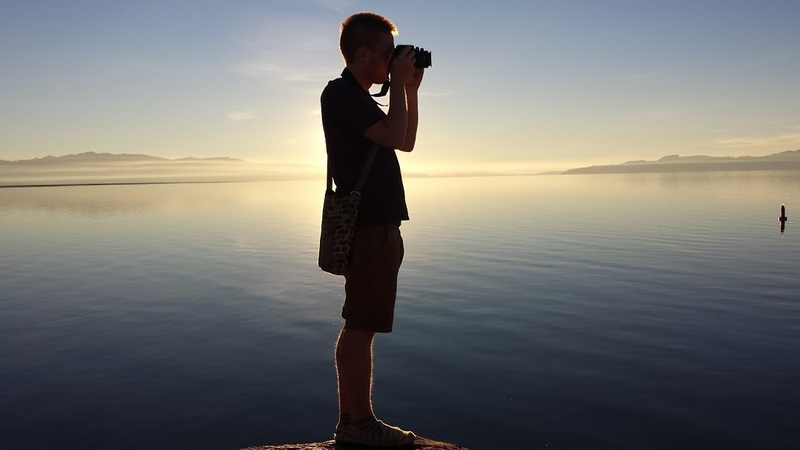 Back in May, I took a road trip with two of my closest friends from college. Our trip started at my former apartment in DC, where Lisa was still living, and took us South to Miami and back. On the way, we stopped in Williamsburg, VA, where I learned that colonial history happened somewhere other than New England. Okay, theoretically, I knew this, but I live in Boston, so when I think colonial history, I think Lexington and Concord, Bunker Hill, the Boston Massacre, the burning of the Gaspee (slipped a little Rhode Island knowledge in there for you #homestatepride). We breezed through North Carolina (sorry NC, I loved you on my last visit!) and into a new-to-me state, South Carolina! 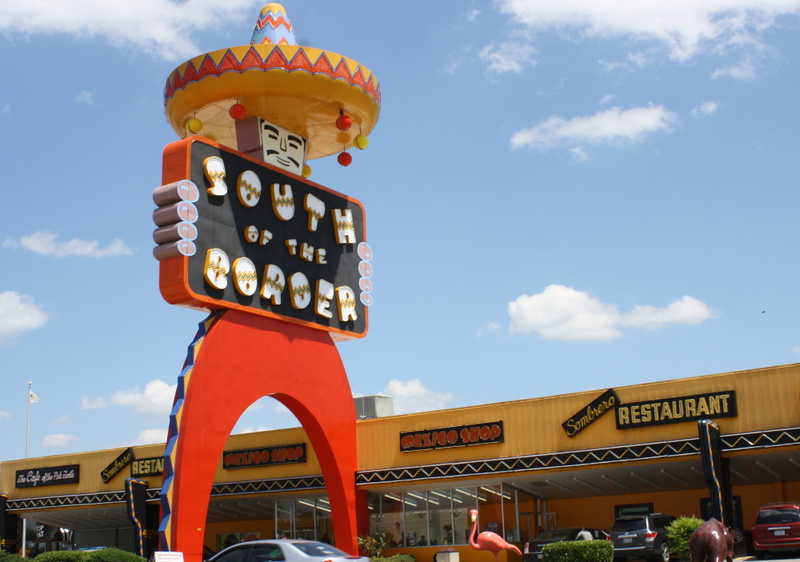 My first impression of the state came from South of the Border, a roadside attraction that’s as surreal as it is racist. We spent the early evening relaxing and reading on Myrtle Beach before checking into a motel for the night. The next morning we hit the road to see Charleston. I’d heard a lot of good things about this city and was excited to explore, but we really only had a couple hours there, so, most of our time was spent eating lunch. And what a lunch it was! 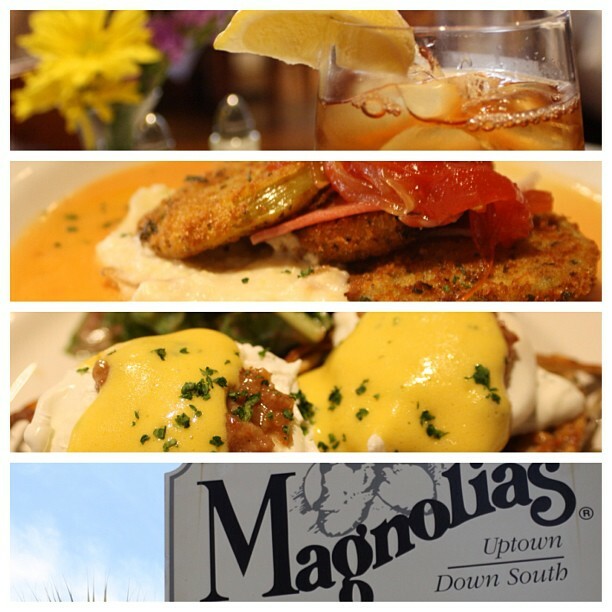 My mouth is watering just thinking about those fried green tomatoes. For me, this was the highlight of the road trip, but my non-tea-obsessed friends had fun, too! Sarah said she wouldn’t have thought to visit a tea plantation if I hadn’t been there, but it ended up being one of her favorite stops. Not being a tea drinker didn’t keep Lisa from having a good time either — she even bought a t-shirt. I think it’s because the whole experience was just so darn charming! 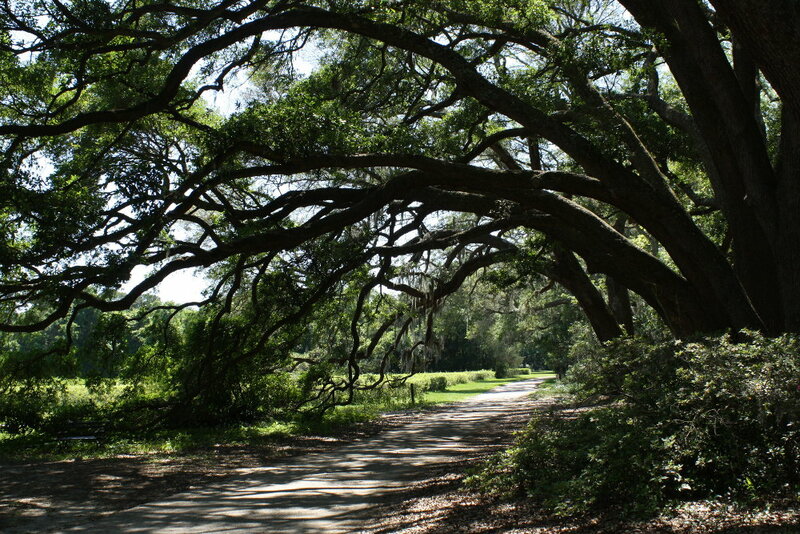 First, Charleston Tea Plantation is on Wadmalaw Island, and to get there you drive away from the city and into the South Carolina Lowcountry. I knew basically nothing about this part of the US, so I was impressed by the series of small islands and bridges, which make up a lot of the Atlantic coast of the Southeastern United States. Add to this the beautiful oaks draped in Spanish moss that seem to line every street in that region, and the scene is irresistible. 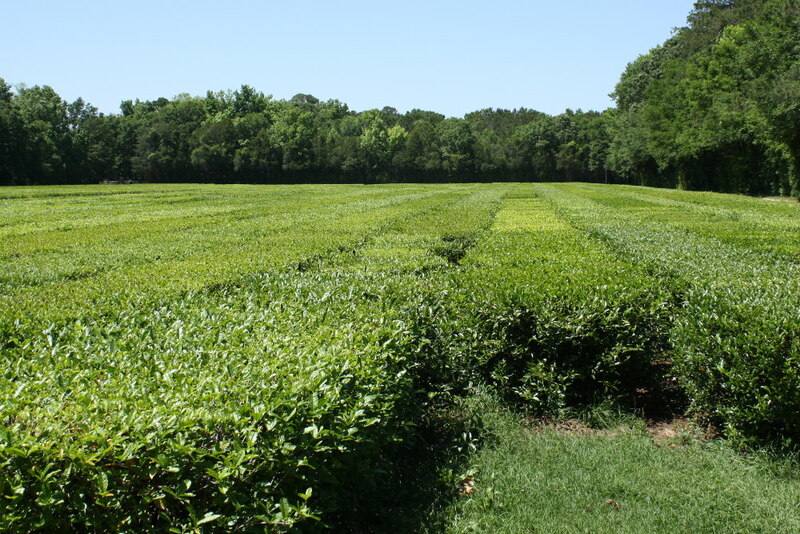 Charleston Tea Plantation’s slogan is “America’s Only Tea Garden,” which a quick Wikipedia search proves false, although it easily claims the title of America’s largest tea garden. We can forgive them their bombastic language because everything else about the place is so down to earth. We walked from the parking lot to the main building, which had a long front porch lined with wooden rocking chairs, and had just stepped through the open front doors when a middle-aged woman greeted us. She asked where we were from and if we had any questions. Her small talk didn’t just feel like good customer service, though; it felt like Southern hospitality. 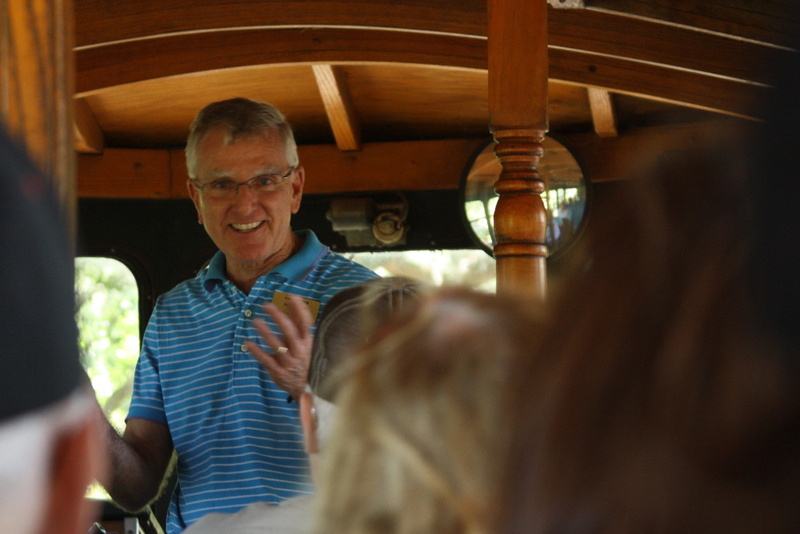 The Plantation offers two tours: a trolley tour of the plantation grounds that lasts 35-40 minutes and costs $10, and a 15-minute factory tour that’s complimentary. When our greeter learned that we hoped to take the trolley tour, she told us the next one started in a few minutes, and we wouldn’t have time to buy a ticket beforehand, so, we should just tell the driver she had sent us and we could pay afterwards. 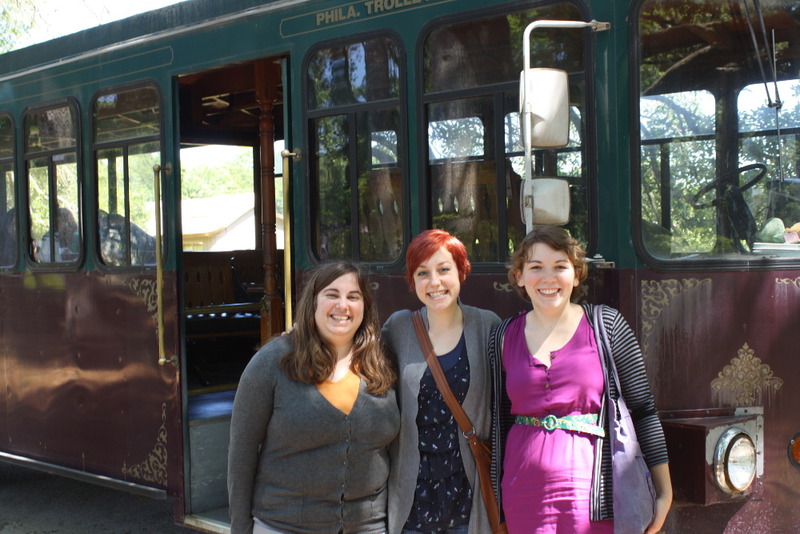 Lisa, Sarah, and I were a bit skeptical, but hopped in line for the trolley ride anyway. Sure enough, when it came time to show our tickets the driver was amiable and let us join the tour on the honor system. On the tour, we got to see part of the 127 acre plantation, and learn about the its history as well as how tea is grown and harvested. Tea (Camellia sinensis) is grown in 34 countries around the world, and the plants first arrived in the United States in the 1700s, although they weren’t successfully propagated until 1888 when Charles Shepard founded the Pinehurst Tea Plantation in Summerville, South Carolina. However, when Shepard died in 1915, no one continued his work, so, the plants grew wild and undisturbed until the 1960’s. Tea is a very hearty plant. It can live for hundreds of years and continue producing quality tea leaves. When people cultivate tea, they trim the bushes to keep them at a reasonable height for harvesting, but when ignored, like the Pinehurst plants were, they can grow to be 30 feet tall! The bushes now growing at Charleston Tea Plantation were once cuttings from Pinehurst’s wild tea plants. There are 8 tea varieties at this plantation that are currently harvested and processed to make tea, but they’re experimenting with 320 different varieties to see which other kinds can be cultivated in South Carolina. Okay, I’m a tea nerd, and I can imagine that, while I am getting more and more excited about this topic as I write, your eyes are glazing over. So, the last tea fact I’m going to share is that Charleston Tea Plantation uses no pesticides because tea is such a hearty plant that they aren’t needed. Plus, the tannin and caffeine naturally present in tea leaves keep away animals like deer, which might otherwise bother the crop. After our lovely trolley tour, we went on the factory tour, which teaches you about how tea is processed (such as how different oxidization techniques determine whether the leaves become green tea or black tea) and you can see the plantation’s actual equipment. He’s like the Fabio of tea tasters! Finally, we poked around the (extensive) gift shop and I drank copious amounts of free tea — there’s six different varieties of free tea in the gift shop! I bought a tin of tea, and some unnecessary tea paraphernalia, and then it was time to leave Tea Disney World. 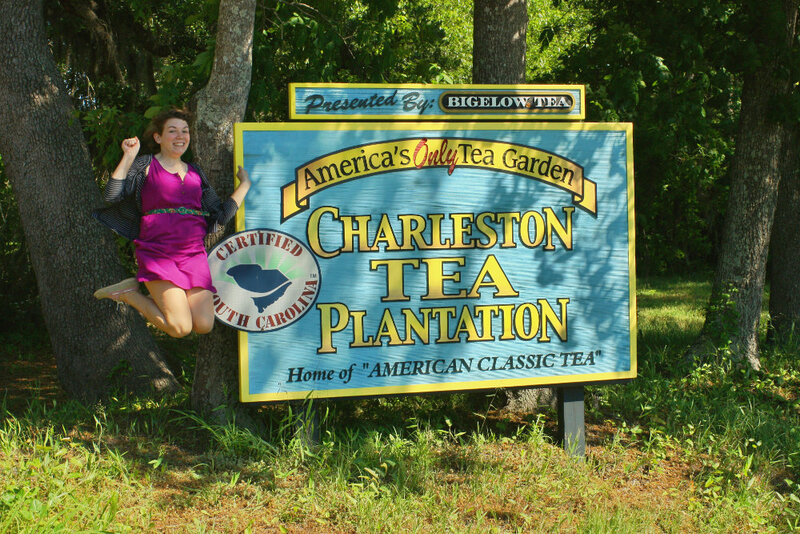 If you’re in the Southeastern United States, I can’t recommend the Charleston Tea Plantation highly enough. It’s a perfect road trip stop: only takes an hour or two to visit, informative, and a little quirky. Have you ever visited a tea plantation? Have I convinced you that it’s worth your time? They grow 8 varieties of tea plant, which they process to make green and black teas, many of which are flavored (mint, raspberry, peach, etc). Pesticides are used on tea in some parts of the world, such as in many African countries where mosquito bugs (not to be confused with mosquitoes) are often a problem. 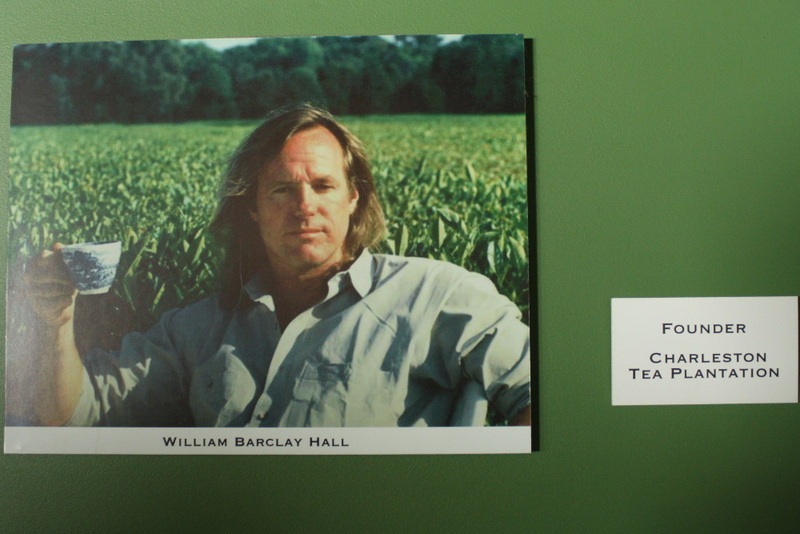 However, it sounds like Charleston Tea Plantation’s tea is mostly organic, and it’s not difficult to grow organic tea in the US.